You are here: Home / Decades / 2000-Present / The gateway and granite door. The gateway and granite door. 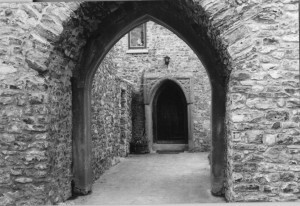 The Castle gateway and granite door to the house as they are today.